Canadian law is completely clear: diagnostic tests are patentable, writes Munk Senior Fellow Richard Owens in the Financial Post. Something’s rotten in the Patent Office, a division of the Canadian Intellectual Property Office (CIPO). The office is running roughshod over inventors’ rights, arbitrarily denying patents to a whole class of inventions: the rapidly growing breakthroughs that are medical diagnostic tests. This demonstrates, yet again, that with innovation Canada can talk the talk but never walk the walk. Perhaps no technology is more heavily investigated and hyped at the moment than “personalized” or “precision” medicine, the tailoring of medical treatments to an individual’s specific genetic attributes. Inventions underpinning personalized medicine include diagnostic tests. And Canadian law is completely clear: diagnostic tests are patentable. That’s the law. But in practice, they’re not getting patents because of a bogus Patent Office policy. This policy is expressed in internal “examination guidelines,” quasi-official, non-legal policy statements. They avoid patents on diagnostics by mis-applying the law of interpretation of patent claims. As guideline 2015-02 states “… a diagnostic method claim construed as consisting solely of essential elements that are disembodied (e.g., mental process, lacking physicality, no practical application, etc.) will be identified as defective for not complying with section 2 of the Patent Act.” In other words, it’s essentially claiming that because the invention is a method, it’s not patentable. But this policy breaks the law on interpretation of patent claims as set out by the Supreme Court of Canada (in a case recently brought, and won, by Amazon, and in earlier cases involving Whirlpool and Free World Trust). It breaks the law of patentable subject matter, as upheld by the Supreme Court. It breaks the legal obligation, again asserted by the Supreme Court, of the Patent Office not to make policy. And it violates statutory obligations under the Patent Act (under which, it might be noted, penal provisions may apply against the patent commissioner and non-compliant examiners). Quite a load to bear. Nevertheless, the Patent Office soldiers on its merry way. In spite of the fact that policy-making by the Patent Office is clearly illegal according to the Supreme Court — which, along with federal and provincial courts, are the ones solely responsible to make legal pronouncements on the Patent Act in Canada — the Patent Office actually has a policy that its examiners should obey policy over law, a policy to which even the Patent Appeal Board has been said to be subject. An inventor would face years and years of litigation to possibly get her due in Federal Court. But without patents, who would invest in the disclosure, costly Health Canada approvals as a class-4 medical device, and commercialization of a diagnostic method? If inventions do not advance, patients suffer and die without them. Make no mistake: absent patents, inventions stay in the lab. Health cost savings and improved outcomes are lost. And Canadians pay not only for want of health benefits: it is usually our tax dollars that funded the wasted research in the first place. Without patents, who would invest in the commercialization of a diagnostic method? This must stop. In trying to get to the bottom of this mess, access-to-information requests have been made and the results published online. They demonstrate that the overwhelming majority of Patent Office patent examiners in relevant fields oppose the policy. They know their legal obligations. They are frustrated. But higher-ups order them to break the law. Why? Hard to say, since absolutely no good comes of it. Maybe the Commissioner of Patents, or other bureaucrats in the Ministry of Innovation, Science and Economic Development Canada (to which CIPO reports) want to stifle diagnostic patents out of the completely mistaken belief that they would increase health-care costs, but that, without patents, they would somehow miraculously turn into products anyway. It wouldn’t be the first time that patent policy has failed health-care research. Canada only recently overruled the promise doctrine, which was poisonous to pharmaceutical patents, and has long restricted patents on drugs and medical methods. Anyway, there must be someone in the Canadian government to whom withholding the power of patents from an area of scientific development that matters most to people and their health makes sense. Perhaps a frustrated inventor will sue to make the CIPO obey the law, but Canadians are not particularly good at that sort of thing. Perhaps a class action suit could be arranged, or a mandamus application, where a court orders an agency to stop doing something unlawful. If the Canadian government were serious about innovation, it would bring the CIPO to heel. Internal policy is easily amended. It would also strengthen intellectual property rights in other ways and go ahead with the IP provisions in the Trans-Pacific Partnership proposals, and accept similar provisions in NAFTA. But it’s clear that, despite what the government claims, Canada is not serious about innovation. 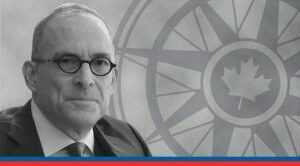 Richard C. Owens is a Munk Senior Fellow at the Macdonald-Laurier Institute and an adjunct professor at the University of Toronto Faculty of Law.